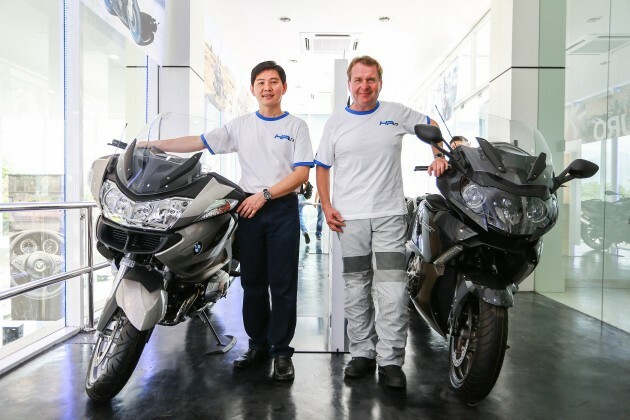 BMW Group Malaysia and Tian Siang Premium Auto recently opened the first BMW Motorrad dealership in Ipoh, which is also the fifth BMW Motorrad outlet in the country. The facility is located at along Jalan Kuala Kangsar in Perak’s capital city. The launch was attended by members of BMW Motorrad Club Malaysia, MB Riders, Motorsport Legend Club and Etiraf Bikers Club, Ipoh who had the opportunity to test ride the newly launched BMW HP4, BMW F700 GS, BMW F800 GS and BMW Maxi Scooters. 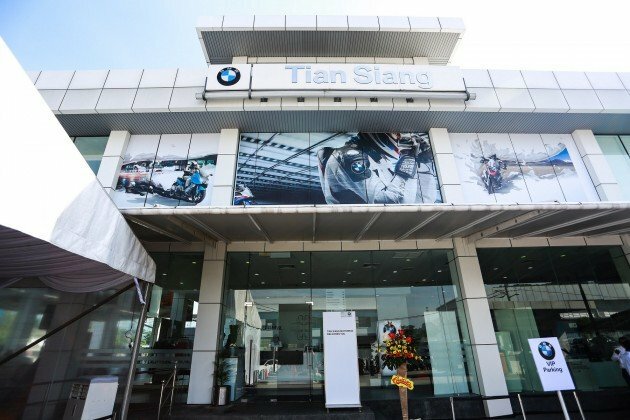 The latest BMW Motorrad showroom is part of Tian Siang Premium Auto Ipoh’s existing 4S BMW dealership, occupying a total built up space of 203 square metres. The display area can showcase up to nine bikes at one time, plus BMW Motorrad merchandise. There’s also a dedicated customer lounge with WiFi. “The key to BMW Motorrad’s success here is to ensure that our customers receive nothing less than the best in terms of premium experiences whether they are in KL, Munich or right here in Ipoh,” said Fazli Shukor, head of BMW Motorrad in Malaysia. In the first quarter of 2013, BMW Group Malaysia delivered 95 bikes, a 64% growth. need to hire 2 full time security guards guarding the bike on rotating shift….thugs are everywhere.